We wanted to share Jazz and Lucky’s engagement ring story with you! Jazz phoned our engagement ring advice hotline one Wednesday evening to enquire about getting an engagement ring made. He knew he wanted a pear shape diamond but wanted his girlfriend Lucky to be involved in the design. We suggested he brought her in for a Champagne Design Experience so designing the ring together would be a romantic and memorable occasion. 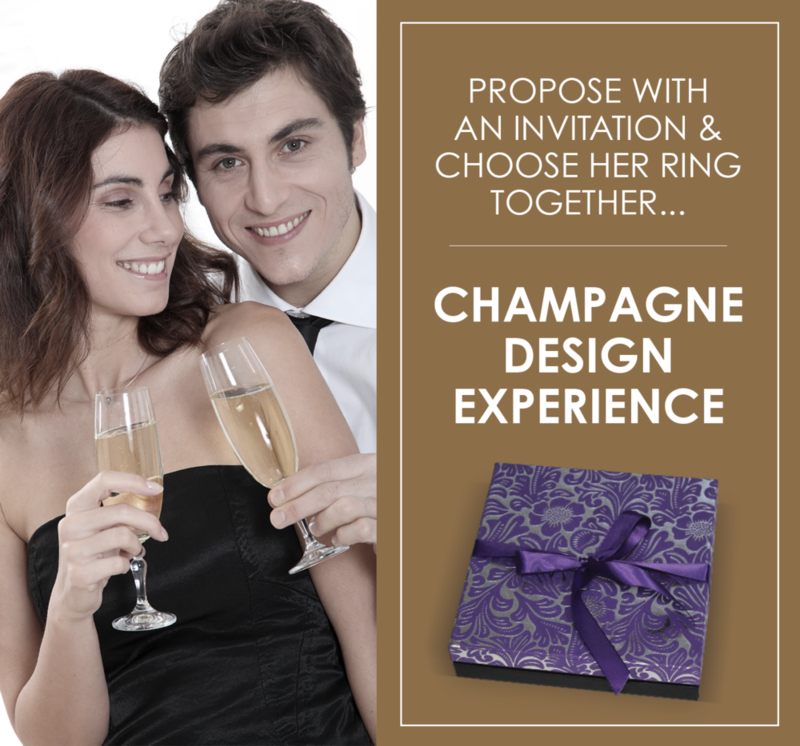 We popped a Champagne Design Invitation in the post to Jazz for him to surprise Lucky with inviting her to come and choose a ring in store with a glass of bubbly! Jazz already he knew he wanted a ‘pear shaped’ diamond so we hand picked three beautifully cut diamonds that met his size, quality and budget criteria. Jazz and Lucky could then see the stones for themselves and pick their favourite with the help of Laura, a design and diamond expert. There’s no comparison when investing in a top quality diamond in being to see it and how the light behaves when it moves; you’re after maximum brilliance: maximum sparkle! Laura also guided them through the ring design process, showing them examples, discussing the practicalities of different setting styles and metal choices. We went for a simple style of setting with 3 claws to really show off the diamond including a V shape claw at the top of the diamond for extra security. Derek, our goldsmith, hand made the ring in platinum so it is a perfect fit for the diamond Jazz and Lucky hand picked. When the ring was ready Jazz managed to come in without Lucky so he could surprise her with a special proposal and to no surprise, she said yes!!!! 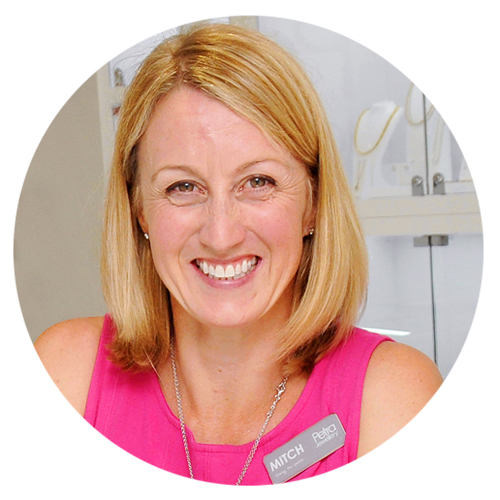 Your FREE Petra Jewellery design consultation! Thank you... We will be in touch shortly to confirm your booking! Mitch joins the debate panel on Sky News! What golden memories do you have? Could you be our NEW Production Manager?! How do I choose my perfect wedding ring? 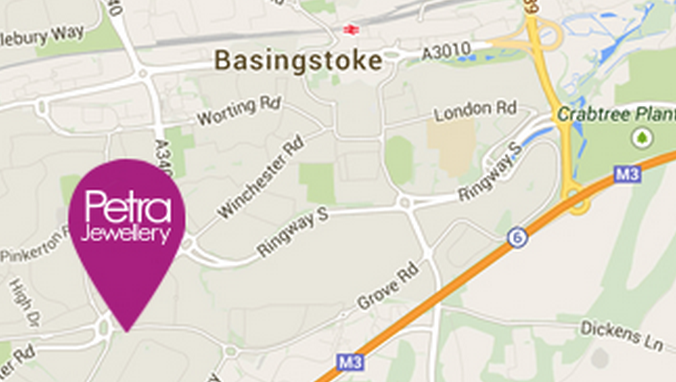 We're just 5 mins from J6 on M3!